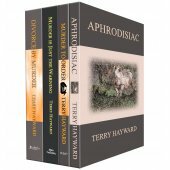 10% of the Author's royalty from the sale of this bookset will be donated to charities. WE are all pilgrims on the narrow road to salvation and WANDERINGS WITH GOD, the first book in the series, was written in the belief that it will offer my fellow pilgrims hope and direction in their walk with God. 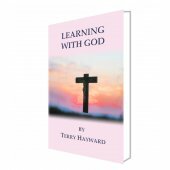 In it I share some of my experiences as I wandered with God, both the nice and the not so nice, as I share my love of nature and how it helps me to get closer to God. Ive always been fascinated by spirituality and write, for example, of my own struggles to obey the Bibles imperative to pray continuously. I also address such subjects as becoming aware of the continuous Presence of God with us in our daily lives. I try to address the difficulties of being obedient to the Law of God but also to share the value and benefits of always trying to find Gods will for my life. 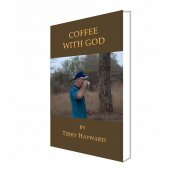 Although there is a lot of advice in COFFEE WITH GOD, the 2nd book in the series. 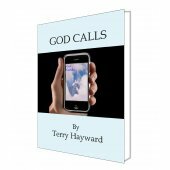 This book is about how to do your quiet time with God. It definitely is NOT a sort of DIY work on meditation or prayer. 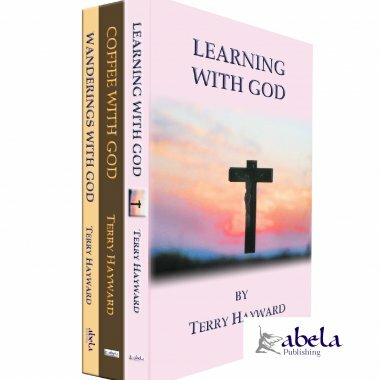 It was written in the hope that it would be a help in not only developing our own prayer life, but also of becoming aware that God is with us all the time, not just during our Prayers, or our Coffee with God. 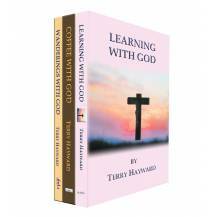 LEARNING WITH GOD the third book in the trilogy of Journeys With God series, seeks to bring together the apparent angry God of the Old Testament with the God who is Love of the New Testament. Over many chapters covering many different topics it suggests ways for you and me, the ordinary Christians, to live out our Christian calling to be holy as our Father in heaven is Holy, by filling our daily lives with the Presence of Jesus, by trying to make it our aim to act and re-act as He would in all our daily situations. Whilst insisting on total obedience to God, at the same time the book claims that His love is unconditional. Everything is written in the hope that by spending quiet times with God we will eventually become aware of His constant Presence with us and let that knowledge rule in our lives. In the secular world perseverance is greatly admired, often talked about, rarely attempted and hardly ever given a proper chance. Just look at the dwindling numbers of people who make a New Years resolution, let alone the minuscule few who actually stick it out. But it is definitely something Jesus wants us to learn and He often commends it to us as an example to be adopted. In the parable of the woman seeking loaves of bread from her friend (Lk. 11: 5 8) and the woman seeking justice from the indifferent judge (Lk. 18: 2 8) Jesus not only praises the women for their persistence, but He encourages us to take a leaf out of their book.  We see this dogged persistence in our top sportsmen and women. Take for example Valerie Adams, New Zealands world-beating shot-putter, or the All Blacks, New Zealands world champion rugby team. They all know what perseverance means, even in the face of adversity, such as when Valerie was beaten in the Olympic Games by a cheat. We see it in great musicians, who instead of spending their spare time playing outside with friends as they grow up, they spend their time practising, going over those interminable scales time and again as they hone their skills. And Jesus commends that sort of perseverance to you and me in not just our secular lives but also in our spiritual lives as well. For a start we see most Christians are reasonably diligent in their church attendance, but only up to a point. If anything better or more interesting crops up on a Sunday morning, such as the latest must see game on TV, church attendance will quickly be shoved aside without any qualms whatsoever so that they can stay home to watch the rugby, play a round of golf, go on a family picnic or the like. Yet the Bible tells us not to skip church meetings and attendance when we are instructed, Let us not give up the habit of meeting together, as some are doing (Heb. 10: 24). In fact the Bible is not shy to use the word habit to drive home that this church attendance must become a way of life, like all the other habits we develop over the years and we do them so regularly that we dont even have to try to remember to do them it simply is what we do!